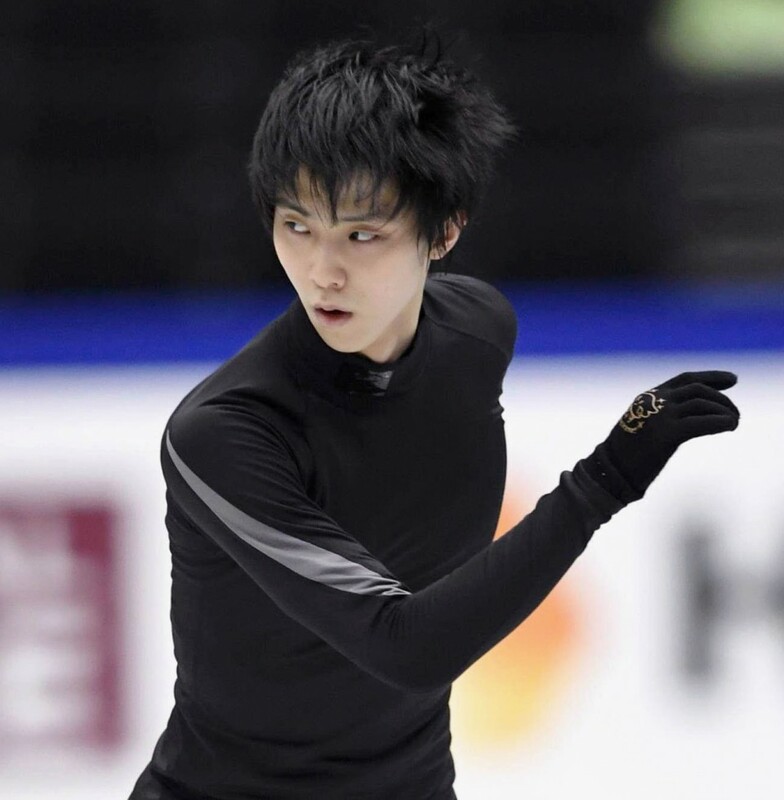 Double Olympic champion Yuzuru Hanyu said Tuesday he aims to make a victorious comeback from injury by winning the Figure Skating World Championships for a third time on home soil. "I can say with confidence that I am at 100 percent now," the Japanese superstar told a packed press conference at Saitama Super Arena, near Tokyo, a day before the opening of the tournament. "Of course, winning is the most important thing as a competitor," he said following a morning training session. "I want to win in every single way. I want to concentrate whenever necessary and enjoy skating whenever I can." 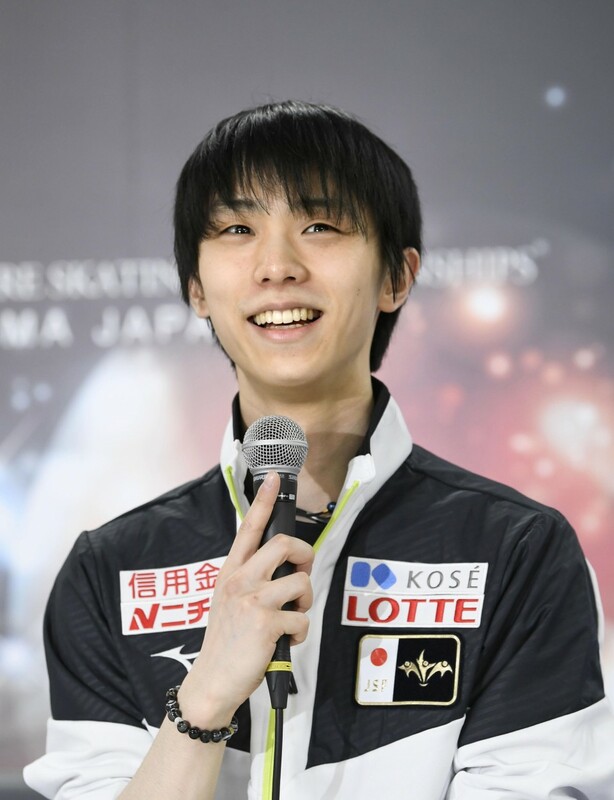 The 24-year-old Hanyu is set to make his return from a four-month layoff after missing the Japanese national championships and the Grand Prix Final, both in December, after re-injuring his right ankle the previous month. 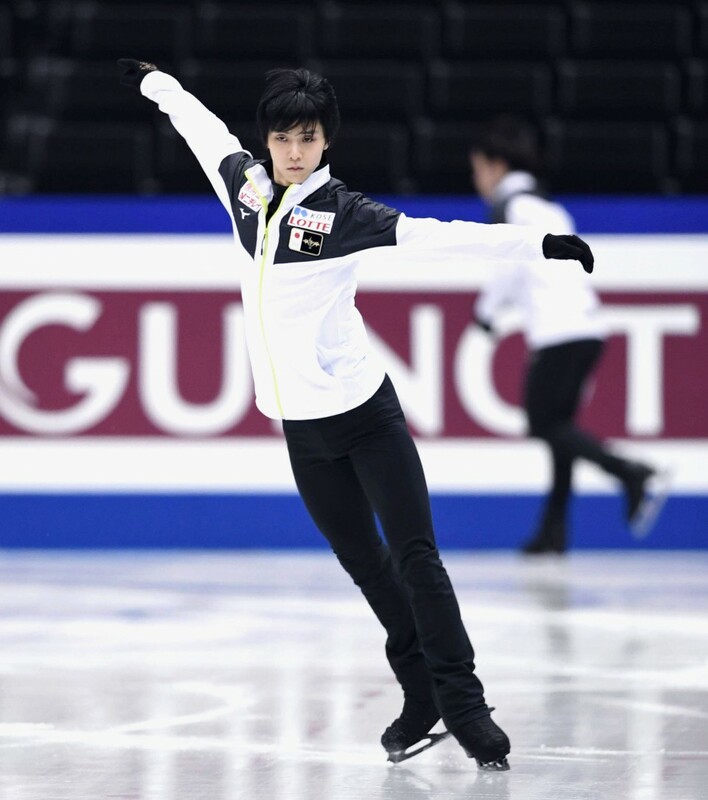 A day after arriving in Japan from his training base in Canada, Hanyu hit the ice Tuesday morning and landed three different quad jumps, reassuring a crowd of several hundred fans that he is again in shape and in contention for the championship. Fans, many of them with binoculars, followed Hanyu's every movement, clapping whenever he nailed a jump or letting out a sigh when he put his hand on the ice when landing. "My right ankle hasn't completely recovered, but I had been gunning to improve to the point where I could compete," he said. "I was able to skate (today) with a good sense of the ice." Hanyu won his first world championship at the same rink in 2014 before claiming his second championship at the 2017 tournament in Helsinki. He skipped the meet in March last year due to problems with the same right ankle, after suffering a serious ligament injury three months before the Pyeongchang Olympics. He said his triumphant return at the Olympics, where he became the first skater in 66 years to defend the men's title, gave him confidence and helped him get through his recovery and training ahead of the world championships. "I was able to win my most important tournament at that time, the Olympics, with less time to prepare. It gave me confidence," he said. "I knew how to spend my time or how to keep my motivation after the injury, as well as how difficult it is to return from an injury," he said. "I started out by improving one thing at a time, and treating my right ankle so it can handle more." 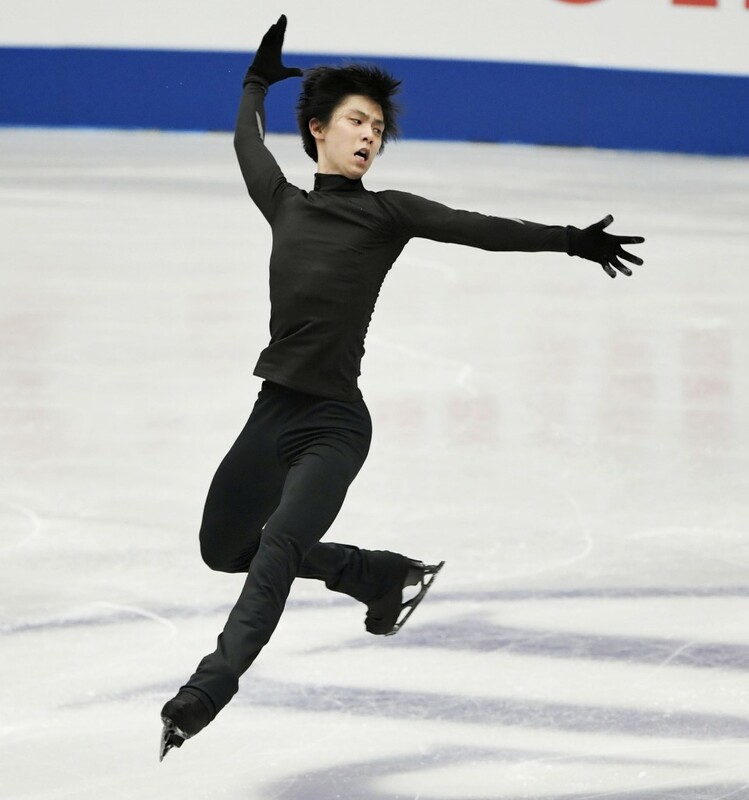 Hanyu expects tough competition from defending champion Nathan Chen of the United States and Japan's Olympic and world silver medalist Shoma Uno. Uno, who won February's Four Continents championships, said he will go into the competition with a new mindset. "I'm looking for results at a tournament for the first time," the 21-year-old said. "I've always tried to perform in a way so I would be satisfied. I didn't really put emphasis on the results." "I haven't changed my training or anything just because I'm looking for results," he said. "But I know competing here (with a new motivation) will end up being a good experience for me." Keiji Tanaka, who was third at Japan's national championships, will also compete. The men's short program will take place on Thursday, before the competition wraps up with Saturday's free program. 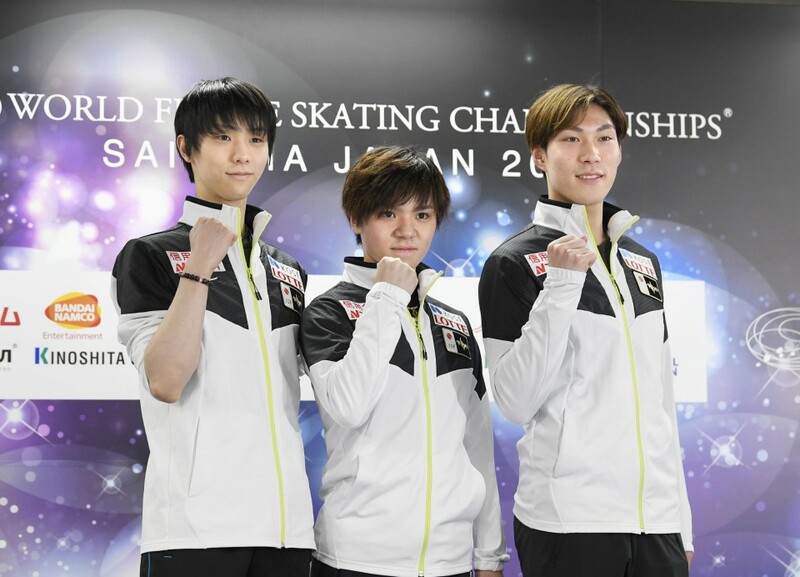 A total of 167 skaters will compete at the world championships held in Japan for the first time in five years.